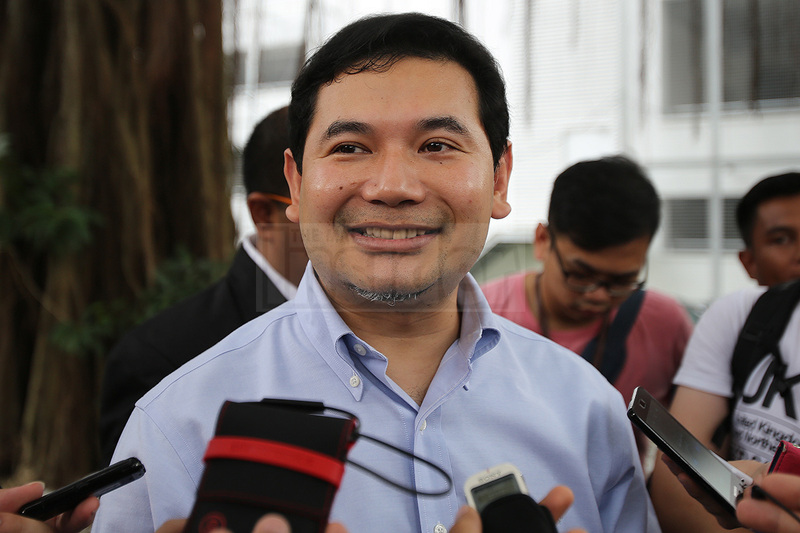 PKR Secretary-General Rafizi Ramli has claimed that in addition to DAP’s Tony Pua, he too has been barred from leaving the country. “I was informed that Tony Pua was prevented from leaving the country due to his involvement in exposing information on 1Malaysia Development Berhad (1MDB),” he said, adding that he immediately checked his own status on the Immigration Department’s website and found it to be the same as Pua’s. “Therefore, I suspect I have been blacklisted and not allowed out of Malaysia,” he said in a statement. Pua, who is the MP for Petaling Jaya Utara, and an outspoken critic of the prime minister and 1MDB, was stopped by immigration officials today at the Kuala Lumpur International Airport as he was trying to take a flight out to Indonesia. Pua was implicated by Lester Melanyi, a former Sarawak Tribune journalist, of having fabricated documents pertaining to 1MDB in the Opposition’s bid to nab the PM on corruption involving billions. Lester made the implication in a video confession. Pua on the other hand has vehemently denied any wrongdoing. Speaking about the video, Rafizi, who is also the MP for Pandan, claimed it was an evil conspiracy to silence him, Tony Pua, the whistleblower website Sarawak Report and The Edge. He also said it was likely that both he and Tony Pua would be arrested anyway on suspicion of having fabricated the documents.